Anton Viktorovich Yelchin (Russian: Анто́н Ви́кторович Ельчи́н; March 11, 1989 – June 19, 2016) was a Soviet-born American movie, television and voice actor. Starring role in the 2013 movie, "Odd Thomas". 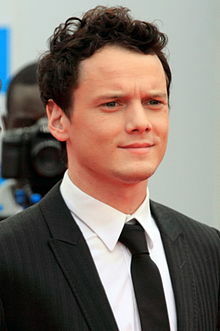 Yelchin was born in Leningrad, present-day Saint Petersburg, Russia. His family was Jewish. His family moved to Tarzana, California as refugees. He studied at Sherman Oaks Center for Enriched Studies and at the University of Southern California. His career began in 2000. He was in the movies Along Came a Spider and Hearts in Atlantis (both 2001). His role as Jacob Clarke in the Steven Spielberg miniseries Taken was his most famous role as a child actor. He later appeared on the television series Huff and starred in the movies Terminator Salvation (2009), Charlie Bartlett (2007), Fright Night (2011), Like Crazy (2011) and Only Lovers Left Alive (2013). Yelchin was best known for portraying Pavel Chekov in the Star Trek reboot series, appearing in Star Trek (2009) and Star Trek Into Darkness (2013), and will appear in Star Trek Beyond (2016). On the morning of June 19, 2016, Yelchin was found by friends crushed between his car and the iron security gate of his Studio City, Los Angeles home. It was described as a "freak accident". He was pronounced dead later that day at the age of 27. ↑ "'Star Trek' actor Anton Yelchin dies in freak car accident". CNN. Retrieved 19 June 2016. ↑ Mather, Kate (June 19, 2016). "Anton Yelchin, actor in 'Star Trek' films, dies in freak car accident at age 27". Los Angeles Times. Retrieved June 19, 2016. Wikimedia Commons has media related to Anton Yelchin. This page was last changed on 8 April 2019, at 18:17.